Keith Urban Bradley Center tickets are still available for his show on October 13th. Since this show was announced a long time ago, some of you might have forgotten that your favorite country music star will be performing at the Bradley Center in October. Have no fear, you can still get good seats for the show. 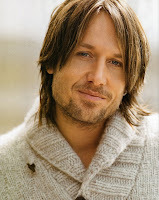 Keith Urban's visit to the Bradley Center is a part of his "Get Closer" tour, the same name of his latest album. Urban released Get Closer at the end of 2010. Urban wowed audiences at last year's Country Music award and he also surprised fans by performing unannounced in New York City's Penn Station. His concert on October 13th at the Bradley Center promises to be an exciting one. Who knows, maybe even wife Nicole Kidman will be there.